Royal Wedding Week continues here at Disney's Fairy Tale Weddings, so I thought it would be fun to share a special sweets edition for this week's Wedding Cake Wednesday. I love a good dessert, so I wanted to share our best princess-inspired treats for a royal wedding of your own. How amazing is this chocolate rose filled with fresh raspberries? 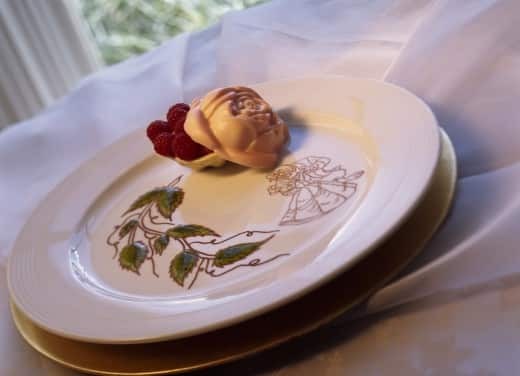 Belle is one of my favorite princesses, so this dessert is the perfect fit for my royal taste! Fancy something regal and charming? 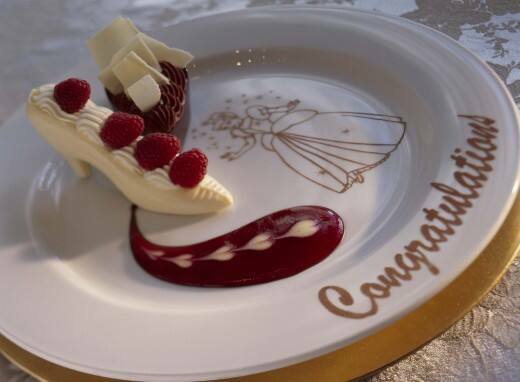 This chocolate glass slipper is sure to impress! Grooms-to-be often request this special dessert after a proposal or to celebrate an anniversary. 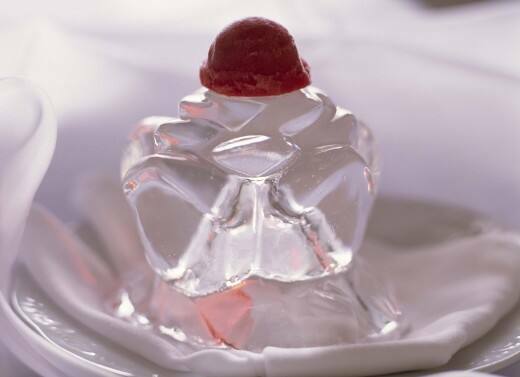 Perfect for a summer wedding, this ice rose is donned with scrumptious sorbet to keep your guests cool and satisfied. We know Prince William & Kate will be serving fruit cake to their guests, but what desserts satisfy your sweet tooth?